Storycitra.com- Today is lazy day for miss lazy in the kitchen. Already long time, I never go to the kitchen to make something nice. I do not remember the last my recipe I shared to you. No worry, You still can find it in my story citra blog, of course. 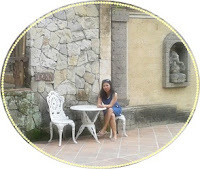 Thank you so much to take time to read and wait me to update my blog. I know some people love to spend time in the kitchen. I also have dream to have café or restaurant in the future. Even I am so lazy in the kitchen. Today, Citra wants to tell you story about how I am making something fresh and cold in the hot weather. As a woman, sometimes I love to make my own creation but I just love make it simple but delicious, of course. How about You? I bet, You are the best chef in the “house” because You always spend time in the kitchen to make best and yummy creation of the food. Are You thirsty? Do you want to drink something which make me feel fresh and it simple recipe and healthy either. SO, You are in the right time to visit my blog storycitra.com because I want to share my new creation and I give it name fresh drink lemon nada. It’s so simple and You do not need a lot of ingredients to make it and I guess. You just need less than 10 minutes to prepare and make it. 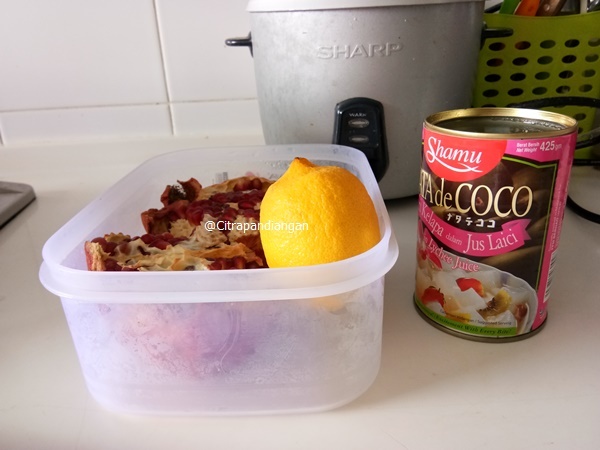 Let’s check this out Fresh Lemon Nada creation by citrapandiangan, Miss Lazy in the Kitchen. 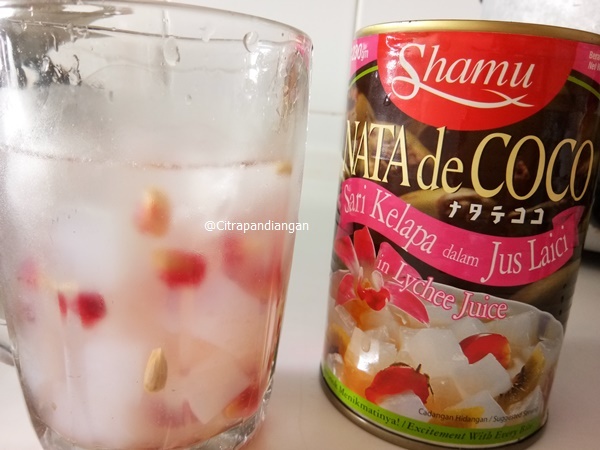 Ingredients: One of Nata de coco can, pomegranate fruits, lemon and couple of ices. See, only 3 things You need and it so simple to do for You and I who lazy in the kitchen but love to drink healthy and fresh, cold in the hot weather which hit You and make You sweat a lot and drink all the time. 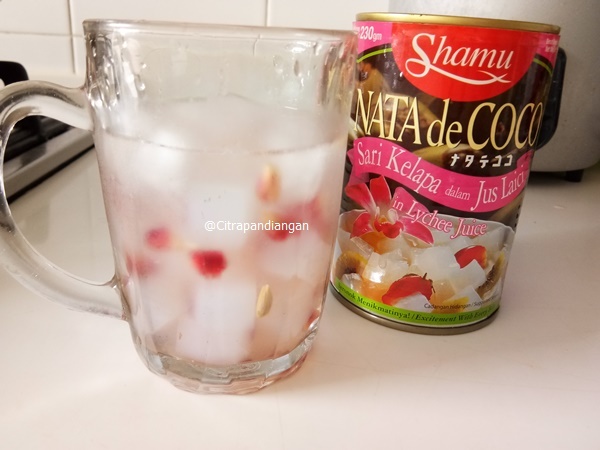 Actually it is so easy, the first You need a glass, spoon and also open the can of Nata de coco. 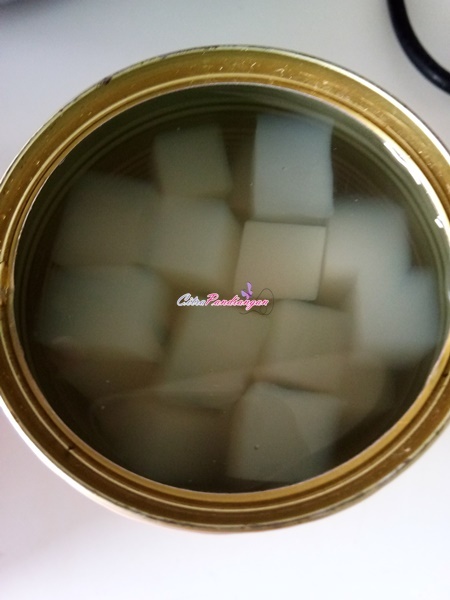 I choose nata de coco with the lychee juice in the can. I just need put nata de coco inside the glass. Then I cut pomegranate fruit. I just need half of pomegranate fruits for my drink. It is depend on You. If you love to put a lot of pomegranate fruits You can put it. I just need it quarter of pomegranate fruit. The next level, I need to cut the lemon fruit to get the lemon juice. I use half of the lemon fruit. 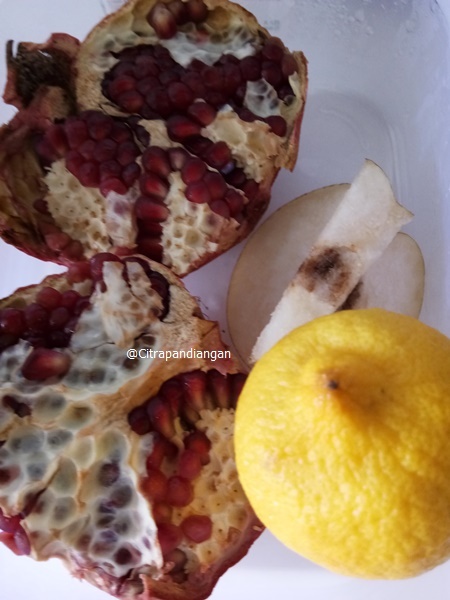 Oh, do not forget to put the pomegranate fruits inside the glass before filling the glass with the lemon juice fresh. After that, put the ices in the glass. The healthy and fresh drink of Lemon Nada already and You can drink it directly and You will feel so fresh. I feel the sour from the lemon juice and sweet from pomegranate fruits and tough plus sweet from nata de coco. I love this drink and all of the ingredients are healthy to make. You can get a lot of vitamin C from the Lemon. Have a good time and let’s make simple drink in the kitchen sometimes. Hi . . . . 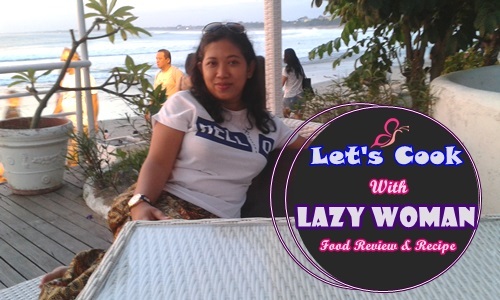 I am Citra and I offer review products for example food, hotel, and beauty products. 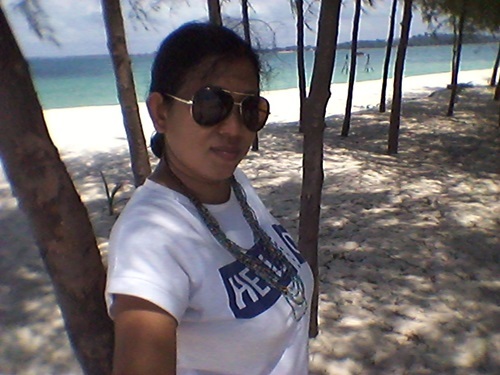 You can contact me on my email here 2travellife@gmail.com with the subject SC for (Story Citra). Feel free to contact or just asking or discuss. It will be great to cooperate with you. I also sell postcard, quotes, poetry/poem, and short story if you want to order for gift to give to special people in your life. Donate also accepted to build story citra dream. I love to make some drinks from lemons. It makes me stay away from colds.